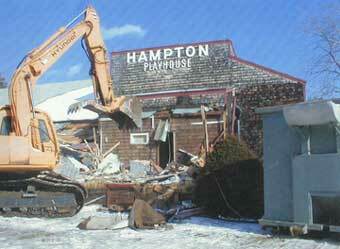 The Hampton Playhouse was an old, historic structure and the most sensitive in recent memory. 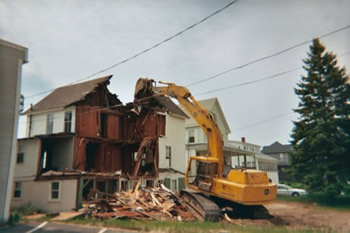 Because there are some buildings that the public does not want to see taken down, it makes it more of a challenge dealing with the emotional aspects of historic buildings. 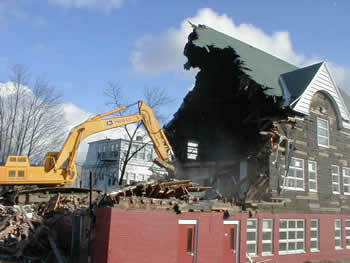 Instead of a demolition project, this project became a "recycling" project. 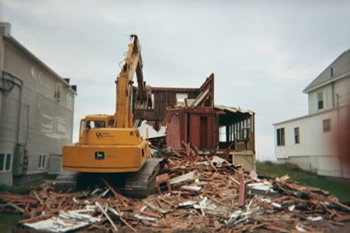 All interior components i.e., props, costumes, p.a. 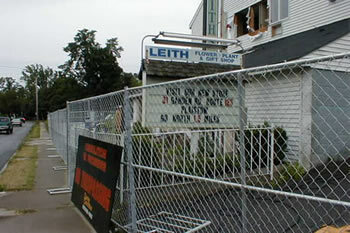 system and seating, were donated to local theatre groups. 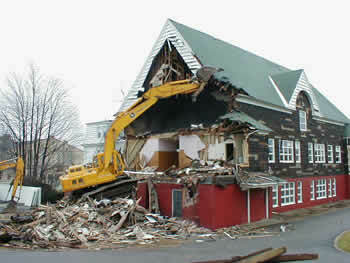 Structural boards and beams were reused, taking this sensitive project to a different level in the eyes of the public, and easing some of the pain of seeing this historic building removed. 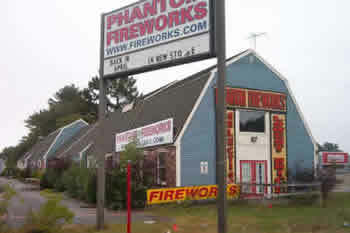 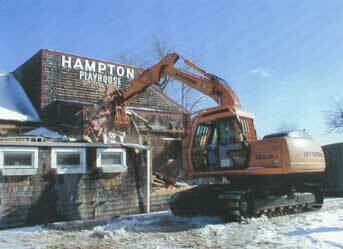 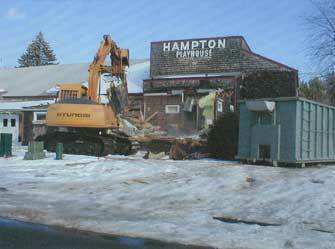 Danely Demolition was asked to tackle the sensitive task of tearing down the Hampton landmark known as the Hampton Playhouse. 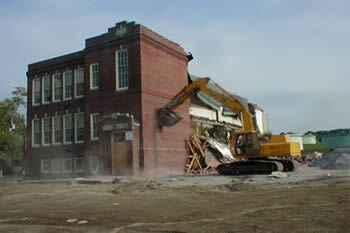 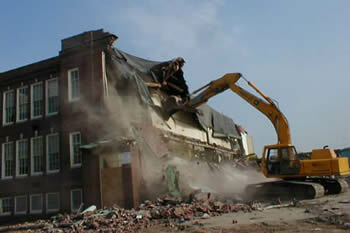 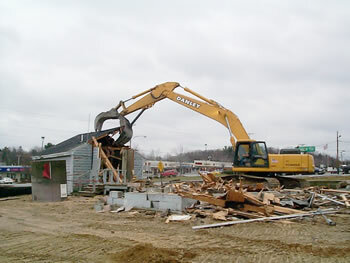 An Estimated 100 tons of brick was removed by Danley Demolition using a two-ton wrecking ball. 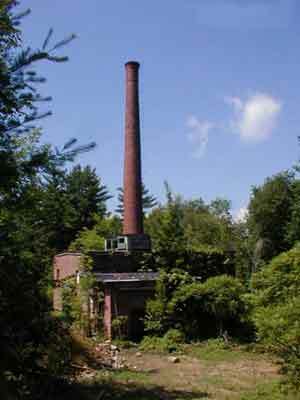 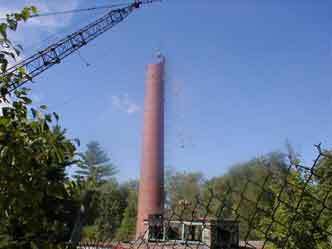 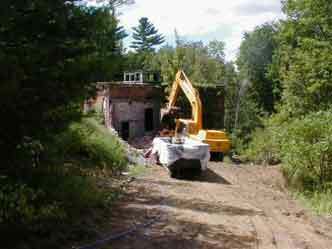 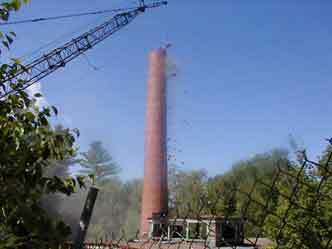 Danley Demolition dismantled the old mill powerhouse smokestack and building in Belmont, NH. 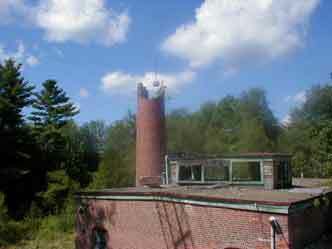 Town officials said tearing down the mill will eliminate the dangers associated with a place deemed hazardous by the town's safety committee. 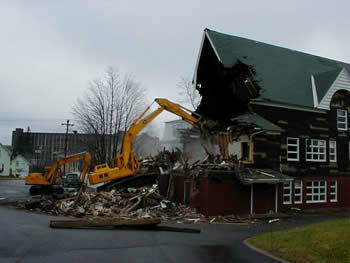 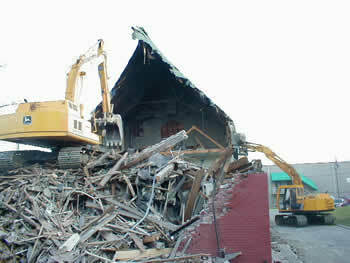 Tearing the mill down will make room for the new police department to be built on the site. 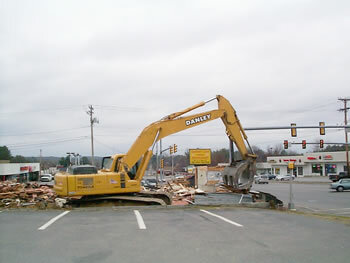 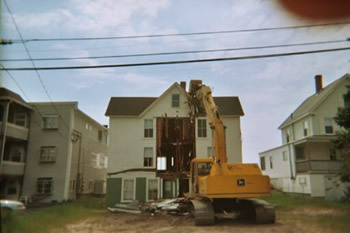 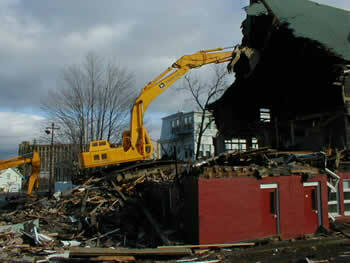 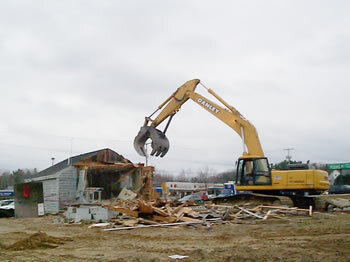 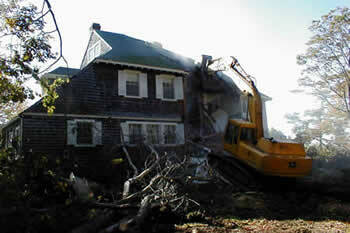 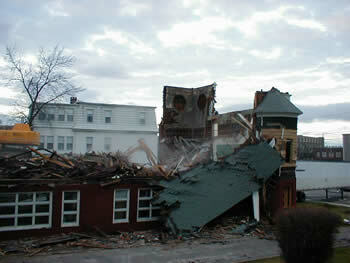 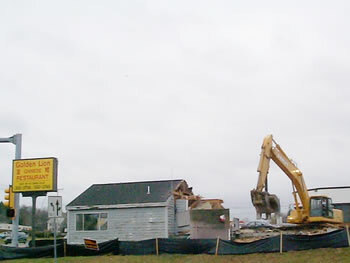 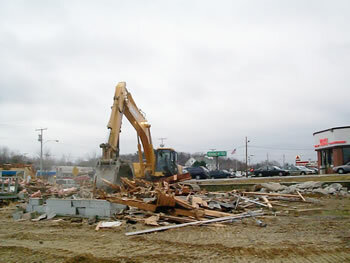 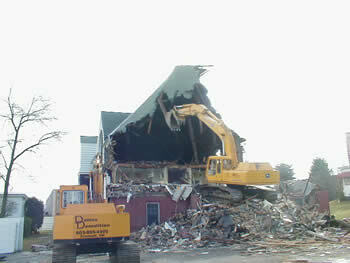 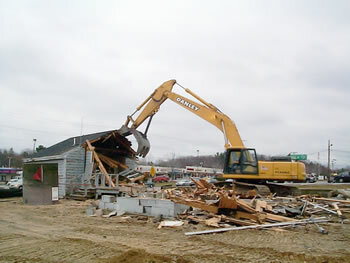 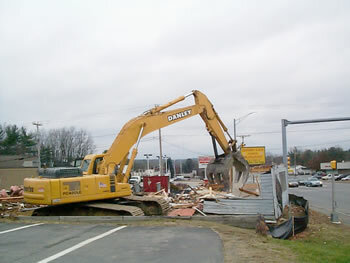 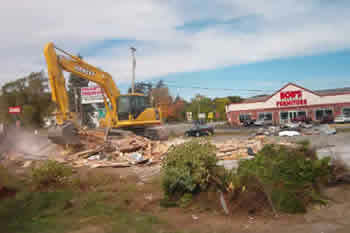 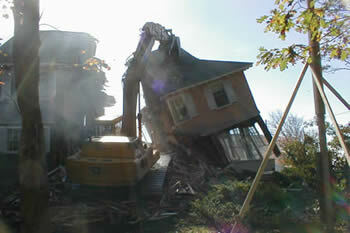 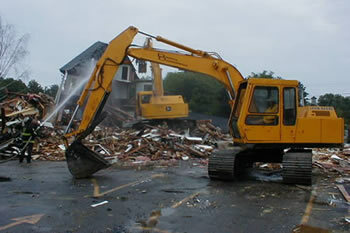 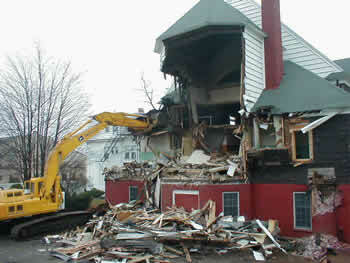 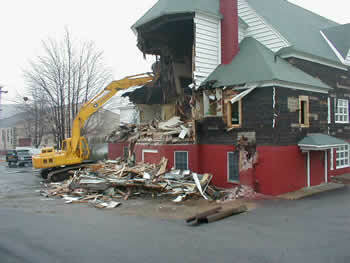 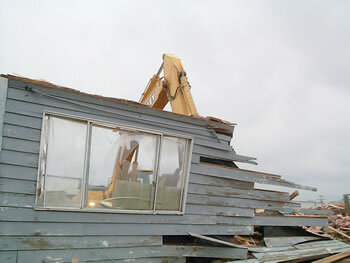 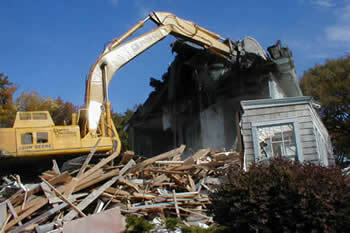 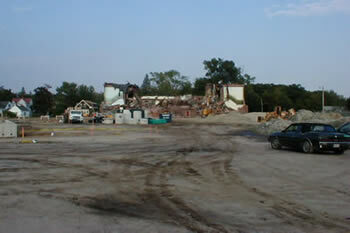 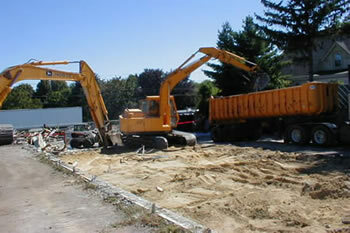 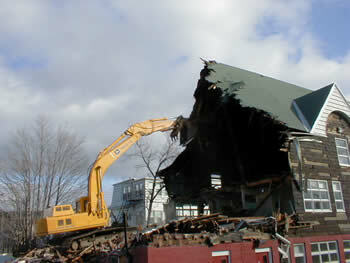 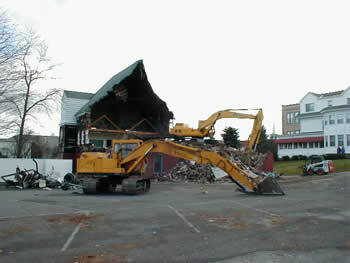 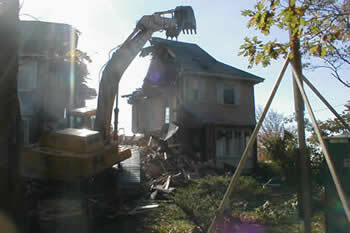 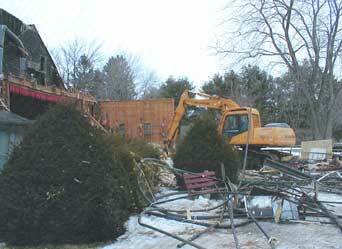 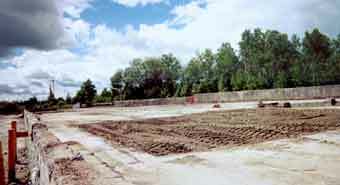 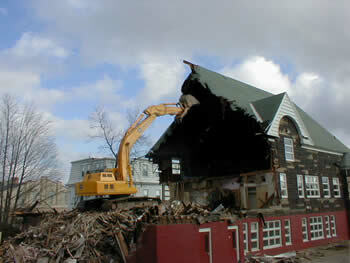 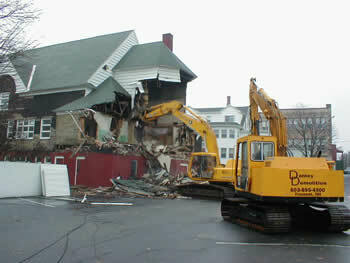 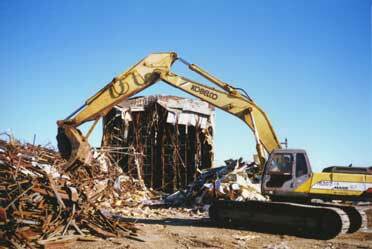 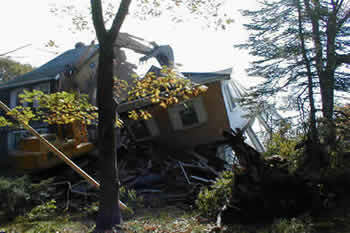 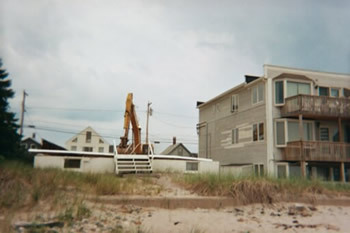 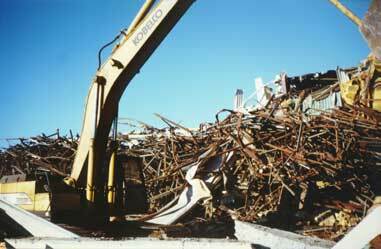 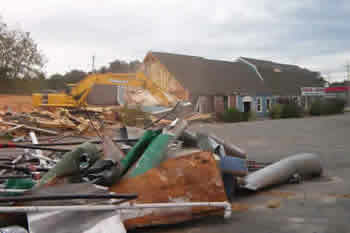 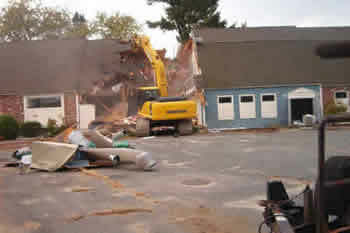 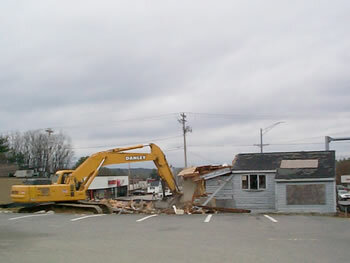 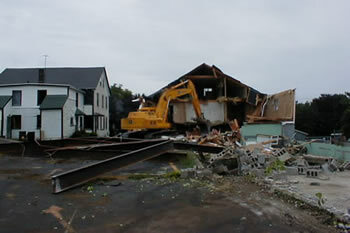 Danely Demolition was asked to tackle the task by the town of Belmont. 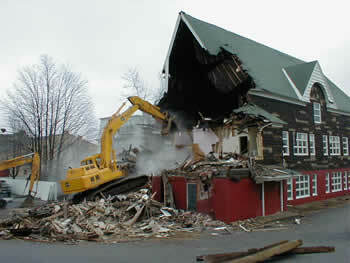 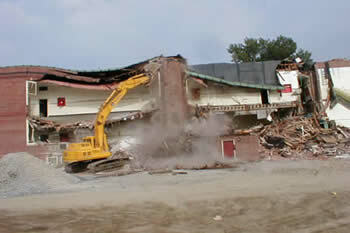 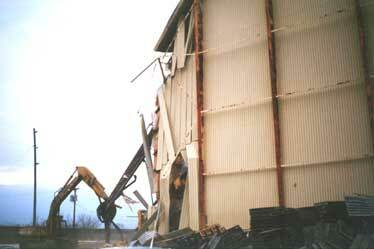 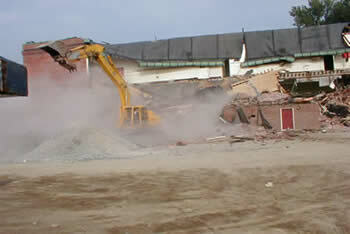 The process of ripping down the old mill would only take two days. 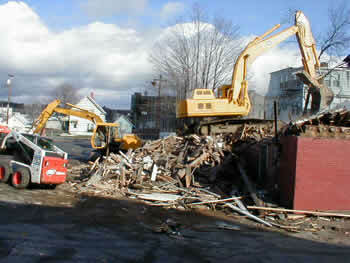 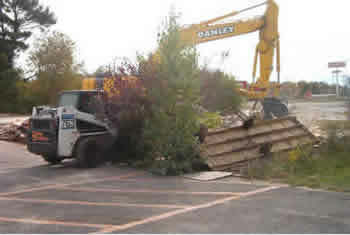 Danley Demolition also removed the wood from the site. 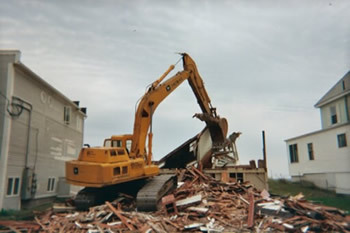 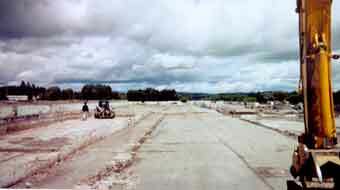 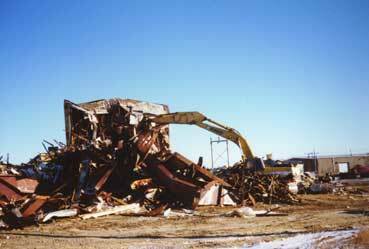 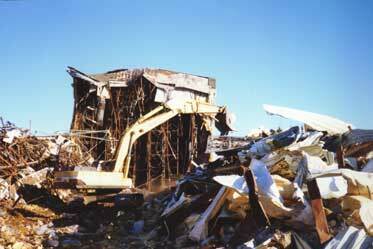 The McCain's Food Processing Plant in Presque Isle, Maine was the largest demolition project under one roof on the East Coast. 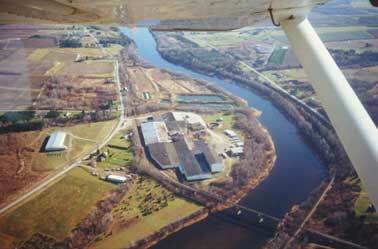 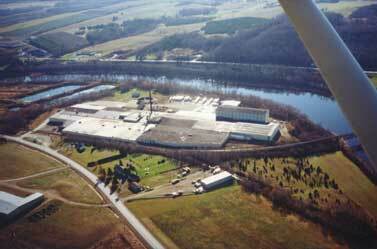 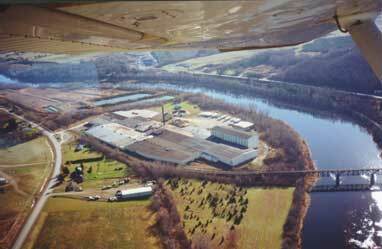 It consisted of approximately 11 acres of steel buildings and processing equipment. 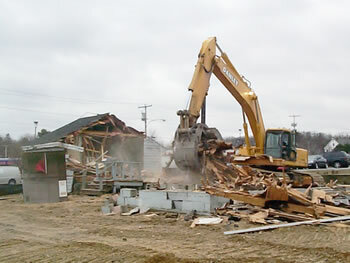 This project had been taken from the permitting stage to completion, covering all phases of demolition during the frigid winter months in Northern New England. 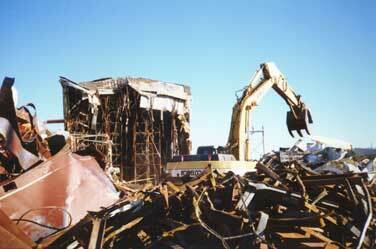 Environmental issues had to be addressed and coordinated, as well as salvage and clean up operations. 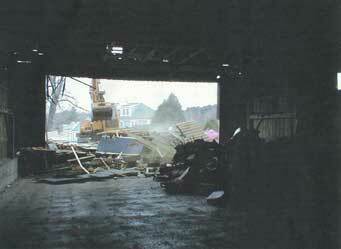 All had been achieved in a timely fashion, proving that whether large or small, any project is achievable in a timely, organized manner.